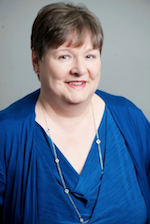 Meet the Team | En-Pro International Inc.
Debby has over 20 years experience in private and public accounting and has worked with BDO Canada and previously within a family business. Debby says she enjoys working with En-Pro because, “We are innovative and ahead of our time in the energy and commodity field; and our more than 25 years proves our expertise and programs are always changing, not only with the times, but also the volatile markets.” Debby is a native of Kapuskasing, Ontario, she moved to Oshawa in 1979 and joined the En-Pro team in 2007. 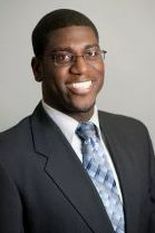 Deighton is a graduate from Ball State University in Indiana where he was admitted as a student of distinction and was awarded an Academic Recognition Scholarship. He received a Bachelor of Science degree with a Finance major. He works in a lead position within the En-Pro team in the position of Director, Energy Services, for both the Energy and Industrial Commodities Markets. In his day to day role, he works with many of Canada’s largest businesses helping them develop energy procurement strategies to maximize savings and reduce risks. He is originally from Gloucester, England and moved to Toronto with his family in 1982 and joined En-Pro in 2003. George is En-Pro’s chemical expert. He has extensive experience as a Chemical Technologist in laboratory and manufacturing. As a Senior Energy and Commodity Cost Advisor, he brought his years of manufacturing and purchasing experience in the domestic and international markets to En-Pro’s diverse clients who rely on his expertise to provide information on trends and price changes in the chemical markets. 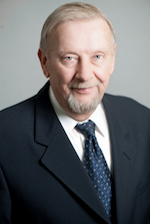 George’s wide range of experience gives En-Pro clients unique and valuable insight into what factors drive chemical prices, such as supply and demand, but delving further by weighing economic factors, the cost of energy, exchange rates, and transportation costs. George’s work purchasing chemicals, compressed gasses, lubricants, propane, and factory supplies, along with negotiating short and long-term agreements on chemicals and other services has given him unique insight into the domestic and international markets. On a daily basis, information from numerous sources around the world is gathered for market intelligence. George prepares The En-Pro Chemical Market Report, which provides inside information on chemical company news, market trends, and prices changes. Born in Bourlamaque, Quebec, George graduated from, Western Technical and Commercial School in Toronto in Industrial Chemistry. 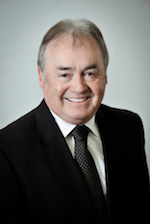 Roger has over 25 years experience in the oil industry, and is considered one of Canada’s leading energy experts. Roger has worked in senior marketing management positions responsible for national and international accounts with Texaco and Esso. 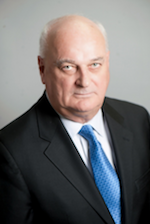 His tenure with the oil companies included the establishment of the pricing of all fuels to major consumers in the transportation and manufacturing sectors on a national and international basis.Roger is the originator of the cardlock concept of marketing on-road diesel that is now the predominant purchase method of diesel in Canada. 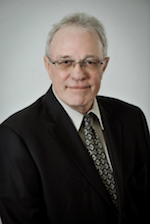 Because of Roger’s extensive knowledge of the oil industry in North America and pricing structures, his expertise is sought by local, national, and international media. Roger is a regular guest on radio and television programs, and he is often quoted in newspaper and magazines across Canada. Roger was born in England and raised in Montreal. He earned a B.Sc. (Hons) from Carleton University in Ottawa. 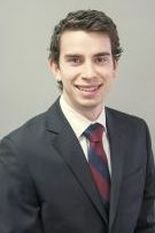 Josh joined En-Pro’s Energy and Commodities specialist team in 2008. Josh’s extensive training began with En-Pro’s Senior Commodity Advisors in the petroleum markets where he continues to hone his skills in the key cost and market drivers. His experience has crossed-over to the electricity and natural gas markets where he trained with En-Pro’s senior utilities specialists and now works with public and private educational facilities as well as many national retail chains across the country. 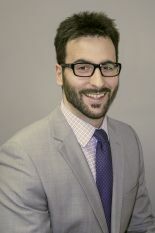 From 1999 to 2007, Josh studied social sciences at both Concordia and Dalhousie University with a focus on cultural anthropology. Josh also obtained a certificate in Visual Communication Arts at Nova Scotia Community College. Josh was born in Waverley, Nova Scotia. He has also lived in Montreal; and moved to Ontario with his wife in 2008. Grace graduated with an Honours B.B.A. from Wilfrid Laurier University. As part of En-Pro’s senior analytical team, she is an accomplished solutions development and project management professional with extensive experience in business-to-business consultative sales and project management. 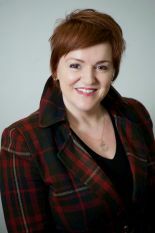 Grace has led and managed teams and projects from inception to completion with keen strategic business planning practices. Grace also has extensive experience in a variety of business sectors in the areas of data compilation, analysis and reporting. 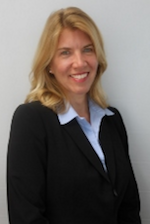 She is highly skilled in cost control and developing custom-designed energy procurement strategies for clients. Grace has traveled extensively and is fluent in German and Spanish. She now lives in Durham Region where she is originally from. Connor graduated from the University of Ontario Institute of Technology where he obtained an Honours Bachelor of Commerce Degree with a finance major. Prior to joining En-Pro, Connor worked in the retail sector in merchandising, most recently advancing to a managerial training level. While in university, he was chosen to intern with the Business Development Bank of Canada for two consecutive summers where he honed his skills in corporate relations and analytical research. 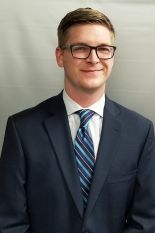 Connor’s unique analytical expertise is utilized through our energy management and risk mitigation strategies for clients across Canada. Stephanie is part of our analytical team, heading up preliminary cost analyses and performance benchmarking for our clients and prospects. 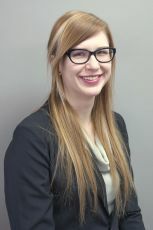 She began working with En-Pro as a part-time student while attending secondary school and has since graduated from the University of Ontario Institute of Technology (UOIT) where she obtained her Bachelor of Science (Honours), specializing in Environmental Toxicology. Stephanie is a contributor to our Chemical Market Report, and is the co-editor of The En-Pro Weekly Energy Report, detailing the current petroleum, natural gas and electricity markets in North America. Susan is a multi-faceted communications professional. Her versatility in the field is hard-earned from years as a reporter and producer in mainstream media, and as a corporate communications specialist for a variety of firms. “It is a rewarding experience working in communications and business development with En-Pro knowing that the objective, transparent work that our team does every day benefits clients and the Canadian economy.” Susan is the lead in our communications department, and is our outside liaison, working with clients and prospects to ensure they receive the best possible service at all times. Aaron is En-Pro's technical guru and is a natural when it comes to research and data administration. His research work in business and operations sectors enables En-Pro target those most likely to benefit from our wide array of market services. The energy markets are constantly changing and his research adapted to the new conditions and the new regulations. 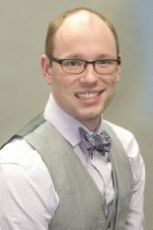 Prior to joining En-Pro, Aaron studied at St. Francis Xavier University in Antigonish and the Culinary Institute of Canada in Charlottetown and then worked in the culinary arts. Lia graduated with honours from the University of Ontario Institute of Technology with a Bachelor of Commerce and a major in marketing. Before coming to En-Pro, Lia was a secretary assistant with St. Therese Parish in Oshawa.Lia’s organizational and technical skills are highly valued among En-Pro’s team of Analysts and Associates as Lia is able to assist in the planning, presentation and dissemination of analytical information to En-Pro’s wide range of clients from various sectors.Lia enjoys baking, yoga, and travel. Ken is a finance major who graduated with honours from the University of Ontario Institute of Technology with a Bachelor of Commerce. Before joining En-Pro, Ken worked with PricewaterhouseCoopers, and the PC Ontario Fund. Ken brings a wealth of analytical expertise to his role as En-Pro’s Energy Data Analyst. He will work with our group of Senior Energy Analysts and Associates to develop and custom tailor energy and commodity procurement solutions for our clients nationwide. Ken lives in Durham Region where he participates in a variety of sports including hockey, soccer, beach volleyball, and marathon running. He is also an avid reader. In his spare time, Ken continues to build on his knowledge of computer science through coding and programming and enjoys volunteering at the Durham Humane Society. Ed is a highly experienced business executive who champions En-Pro’s energy and commodity management operations. He is the second executive to lead the company since its inception in 1985. 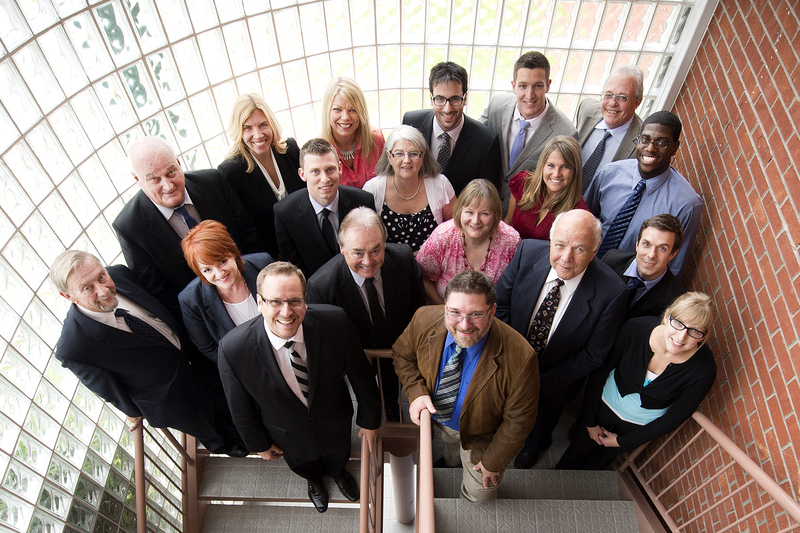 Prior to this, Ed worked as a Managing Partner of BDO Canada LLP (Oshawa office). 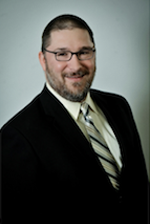 His areas of expertise include acquisitions, operations consulting, and reorganizations. 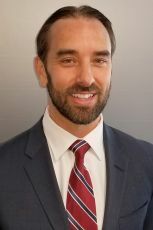 In addition, he served as advisor to the president of a large multi-national automotive services company, concentrating on acquisitions and operations. 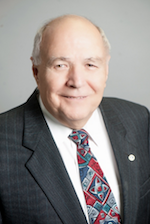 He is past president of the Chamber Insurance Corporation of Canada Inc., and a former owner/partner in both food and construction businesses. Ed’s vast experience in a wide variety of business operations enables him to understand the unique needs of companies of all sizes in highly competitive markets, and within which En-Pro operates in. Ed was a director of Oshawa Children’s Aid Society and past President of The Kiwanis Club of Oshawa. He also served as the President of the Oshawa Chamber of Commerce. John is head of En-Pro’s team of Energy Cost Analysts, and is one of Canada’s leading experts on issues pertaining to electricity deregulation and natural gas. John oversees the arrangements for all En-Pro clients, encompassing the full range of industry sectors, sizes and purchasing alternatives, with day-to-day responsibilities of negotiating terms for gas and power pricing. John’s ability to relay information about the complicated world of commodities, in plain terms, has resulted in media calling on him regularly to discuss energy, electricity and natural gas stories in newspapers, radio, television, trade publications, and consumer magazines. John joined En-Pro International Inc. in 1988 after graduating from the Energy Systems Engineering Technology program at Mohawk College in Hamilton, Ontario and he is currently registered as a Certified Engineering Technologist. Mark is part of En-Pro’s Energy Data Analysts’ group and will provide technical support with his solid experience in office and digital applications. Mark is highly adept at investigating and analyzing data and providing reports, and is looking forward to focussing these skills in the areas of natural gas and electricity. Mark has begun En-Pro’s Analytical Training Program and will be supporting Senior Analysts in a variety of roles including analysis, reporting, and ensuring an excellent customer service experience. Mark graduated with Honours in Criminology and Justice from the University of Ontario Institute of Technology. He lives in Courtice with is wife and son, and enjoys a short commute to work. Laura is part of En-Pro’s Inside Analytical Support team. Laura comes to us with a wealth of experience in analysis and reporting. She has worked with engineering and biological medical firms and has extensive experience in account, project, and office management. 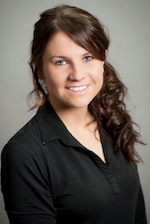 Laura has a Bachelor of Health Sciences degree, with a minor in Psychology from the University of Western Ontario. 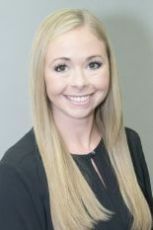 Laura will be working in partnership with our Senior Analysts facilitating data analysis, reporting, and best practices. She lives in Whitby with her husband and son. Luke graduated McMaster University with an Honours B.Comm and a Minor in Economics. Over the last 10 years, he has worked in the Ontario energy industry – from solar and green electricity – to HVAC technologies that deliver efficiencies and reduce energy costs. 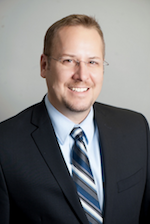 As Director of Business Development with En-Pro, Luke will be focused on growing business through strategic partnerships, and will build En-Pro's Business Services. Luke lives in Toronto and enjoys volleyball, hockey, baseball and golf. Luke also coaches volleyball and volunteers at his local animal shelter. 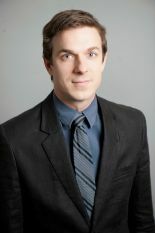 Ryan Cosgrove is a member of En-Pro’s team of Energy Cost Advisors in an Energy Data Analysis position. Ryan is a graduate of Trent University where he attained a joint Bachelor of Science: Honours degree, majoring in physics and forensic science. He is a provisional member of the IABPA, and has advanced knowledge in computer software. Ryan works in partnership with En-Pro’s team of senior analysts providing them with technical analyses used to maintain En-Pro’s client relationships. His past experience with Cineplex, Lowe’s and Scouts Canada have garnered him excellent customer service skills. 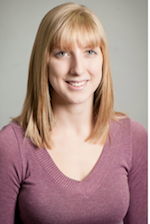 Jennifer is responsible for the management and coordination of client-specific energy analyses. She comes to our team with 14 years of experience working with commercial and industrial companies, as well as institutions and utilities, to formulate tailored risk management and purchasing strategies for natural gas, electricity and carbon. 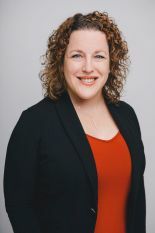 Prior to embarking on a career with En-Pro, Jennifer held various analytical and sales roles at Shell Energy, where she developed a passion for educating clients on natural gas market fundamentals. Jennifer graduated, with honours, from Wilfrid Laurier University with a bachelor’s degree in Business Administration. Jennifer currently lives in Toronto, and is an avid baseball and hockey fan. In her spare time, she enjoys biking and walking trails with her dog, camping, and playing volleyball.